A look back at 2017 through the prism of the McGill Reporter. 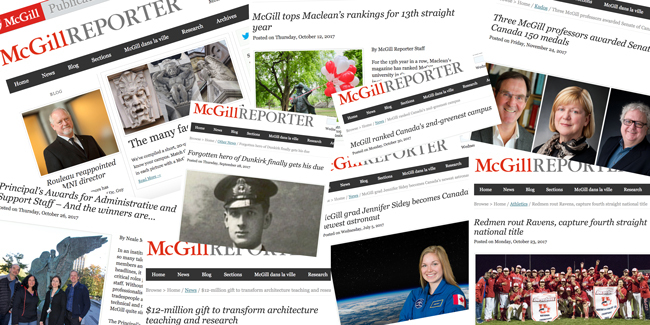 With 2017 winding down, the McGill Reporter has already enjoyed its most successful year to date as an online journal. Our pages were viewed over 600,000 times by more than 257,000 visitors from 211 countries and territories. Not surprisingly, the vast majority of our audience – over half – logged on to our site from within Canada. The U.S., though a distant second, was well ahead of the third-place United Kingdom. Rounding out the Top 10, in order, are India, France, China, Australia, Germany, Hong Kong and Japan. The bottom part of the list is pretty interesting. In 2017, we attracted single-page views from places like Andorra, Liechtenstein, Montserrat, Mayotte and Svalbard & Jan Mayen. There is no secret to the Reporter’s 2017 success – strong writers crafting interesting stories about talented people and timely subjects. The truly difficult part about reporting at McGill is that there are just too many great stories to tell and not enough time to tell them all. As with every year, 2017 had its triumphs and tragedies, its celebrations and controversies. Crunching the Reporter’s Google Analytics numbers, a few trends are apparent. For starters, our audience really seems to like a good ranking story – even when it doesn’t apply directly to McGill. Our article on Montreal being named the best city in the world for students was our most-viewed story of 2017. Our piece on McGill being ranked as the top university in Canada among institutions in the medical-doctoral category for the thirteenth straight year by Maclean’s was our third most-viewed article. McGill’s strong showing in the QS World University Rankings by Subject – in which the University’s program in anatomy and physiology was ranked third worldwide and Mining and Minerals Engineering was sixth – was another Top 20 article for the Reporter. It wasn’t only institutional success that was a hit among our readers, we celebrated individual accomplishments as well. Whether it was grad Julie Payette being appointed Governor General (8th most popular article); prof. Joëlle Pineau being picked to lead Facebook’s first Canadian AI lab (9th); our newest Rhodes Scholars (13th); or mathematician Maksym Radziwill being awarded the prestigious Sloan Research Fellowship (15th), we liked to read about their triumphs. Of course, not all the news in 2017 was good. 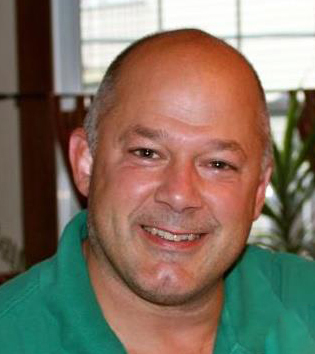 We lost a number of very good people, including AIDS pioneer Mark Wainberg; Schulich School of Music professor Eleanor Stubley; and alumna Tammy Chen, BEd’07, who was killed in an attack on a restaurant in Burkina Faso. But while our Top 20 Reporter stories included many serious articles about grants, major gifts, CRCs, etc., we were heartened to see that pieces of a more whimsical nature are also popular among our readers. Our annual Spring Convocation photo gallery garnered the sixth most views in 2017; the oh-so-cool discovery of a time capsule in the Roddick Gates ranked 10th; and our first ever McGill Reads summer reading list finished 11th. Looking back, perhaps the most striking aspects of this end-of-year review are both the diversity of the stories we told and the one thread that seems to bind them all together – good people doing great things to make the world a better place.